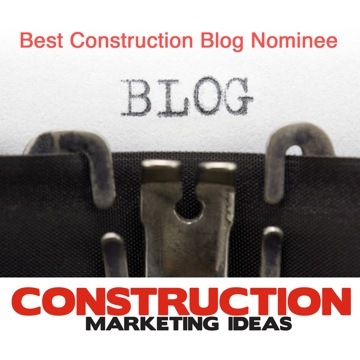 We’re down to the home stretch in voting for the 2013 Best Construction Blog competition. I need to complete a few more reviews for the blog entries (about 30 in total) and you have 15 days (to 5 p.m. on April 1) to cast your ballot. So far, the bloggers have received close to 800 votes. Sage Construction and Real Estate continues to hold its early lead, followed by Gould Design Inc. and Dan Murray’s Your Renovation Coach. Readers can vote once, for as many blogs as they wish. Some of the votes probably should be disqualified — it doesn’t take too much brains for someone to use different email addresses and I fear a few have used fake addresses. This is okay, because we have designed an informal contest without financial compensation and, most importantly, independent judges will make the final decision and they can take into account voter diversity (are all the voters employees of the blog-entry company, or do they represent a diverse population?) and other factors relating to the blog’s overall quality. As the leader still has less than 20 per cent of the popular vote, results could change in the final days and it is quite possible a dark horse blog may move into the finalists and possibly take the lead. We’re exploring a new competition to supplement the Best Construction Blog focusing on overall social media strategies. I expect this contest will be more challenging to enter, judge and manage, so (reflecting its social nature) we’ll probably partner with some other websites and organizations to manage the contest. You can see the real-time voting results and (if you haven’t already done it) vote here. Your brand or mine: Which should be displayed in RFP responses?